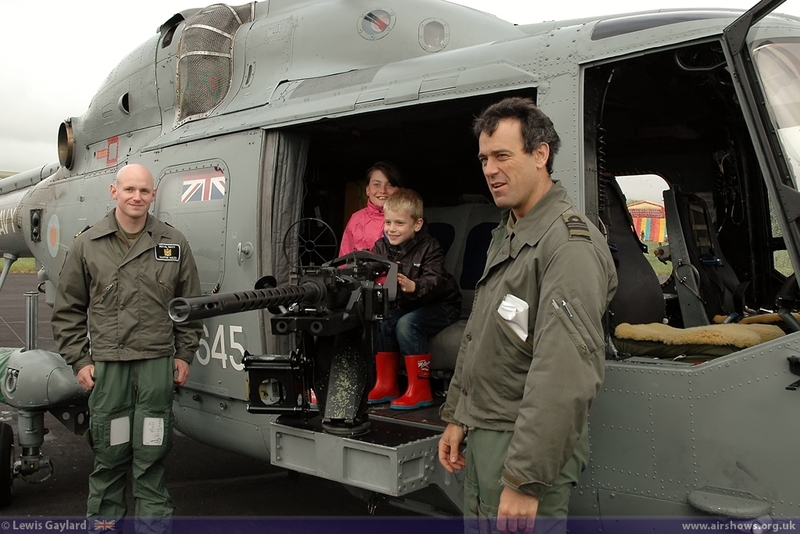 On Wednesday evening, 12th June, the Royal Navy opened its arms to the local community with its annual open evening at RNAS Merryfield. 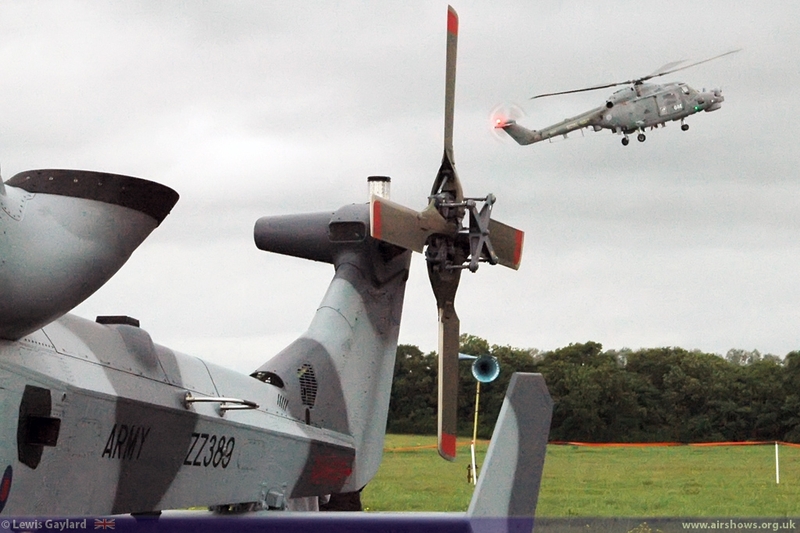 Lewis Gaylard reports for Flightline UK. All photography copyright of the Author. 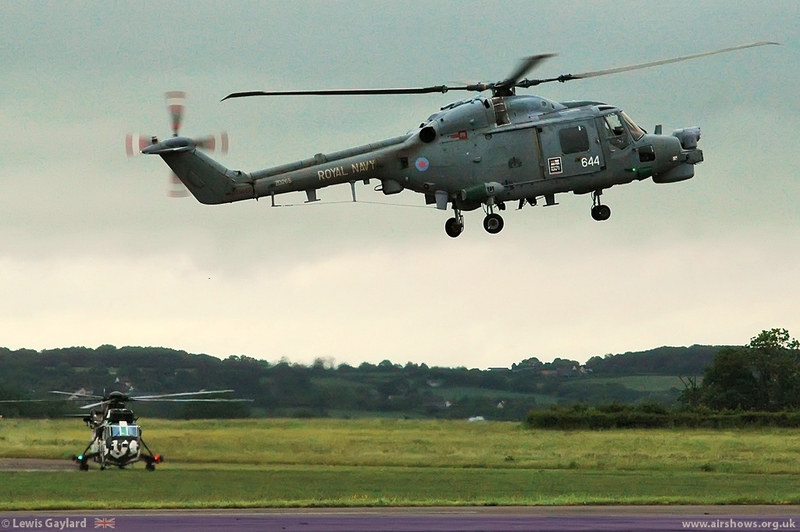 Merryfield serves as a satellite airfield to the larger RNAS Yeovilton just a few miles up the A303. 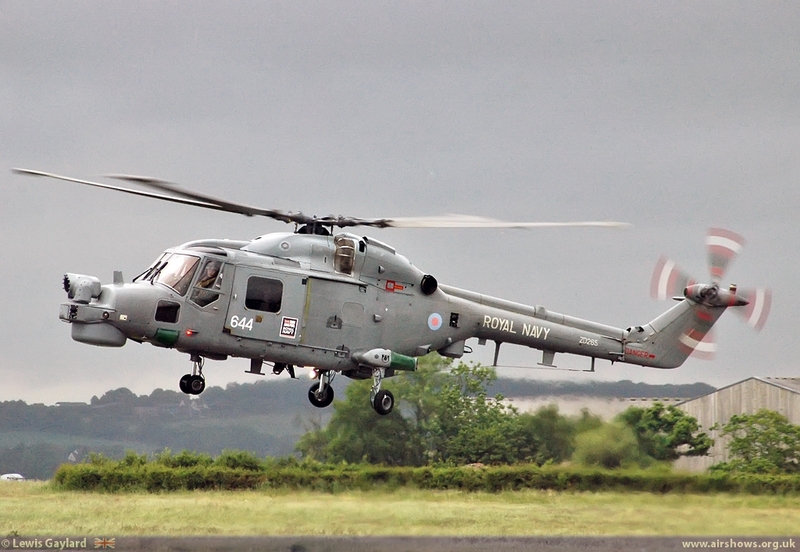 During normal operating hours Merryfield is used by Helicopters of Joint Helicopter Command and the Navys Lynx Force, amongst others, for advanced and continuation helicopter flying training for aircrew that is not possible to conduct at the very active Yeovilton. 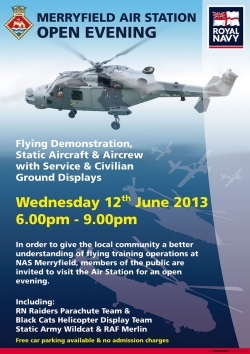 The open evening is a chance for the local communities to see up close the various aircraft that operate at Merryfield and to meet some of the crews. 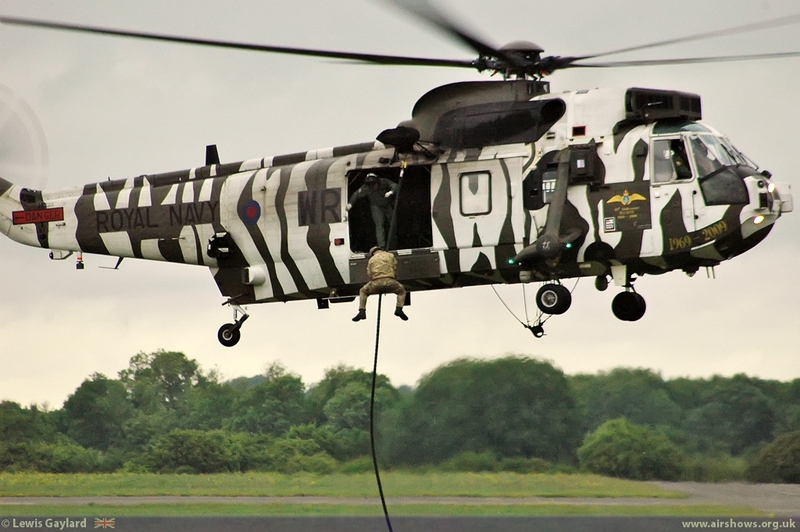 During the flying displays a range of training roles are demonstrated, to a high level of skill, including auto-rotation, under-slung load carrying and fast-roping by Royal Marines, to name a few. The gates open at 1800 and with car parking and admission free, despite the poor weather, a large crowd was expected. 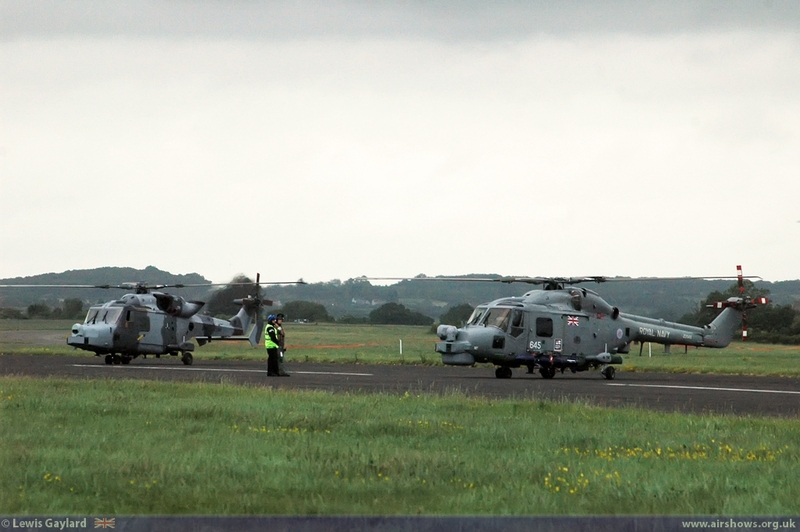 On the ground the static aircraft on show was provided by 848 Naval Air Squadron (NAS) with a Sea King HU4, a Lynx HMA8 from 702NAS and briefly a Eurocopter EC135T2 of the Avon and Somerset Police. 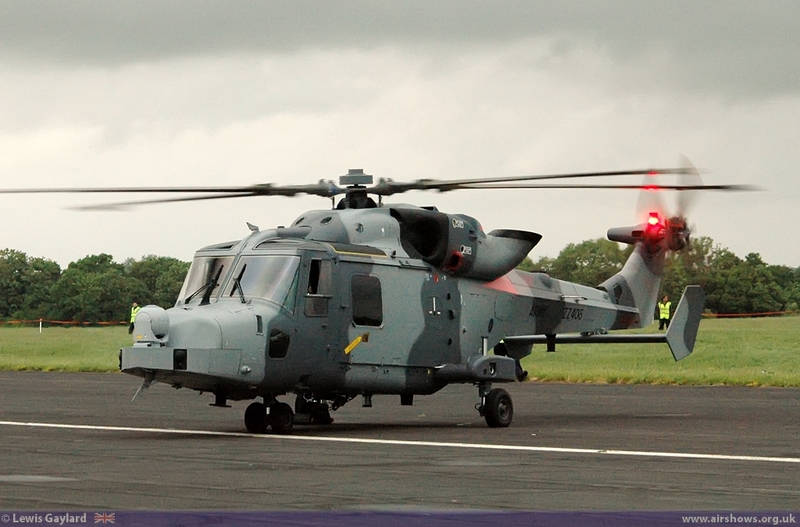 But without doubt the main attraction for the majority was the sight of two AgustaWestland Wildcat. 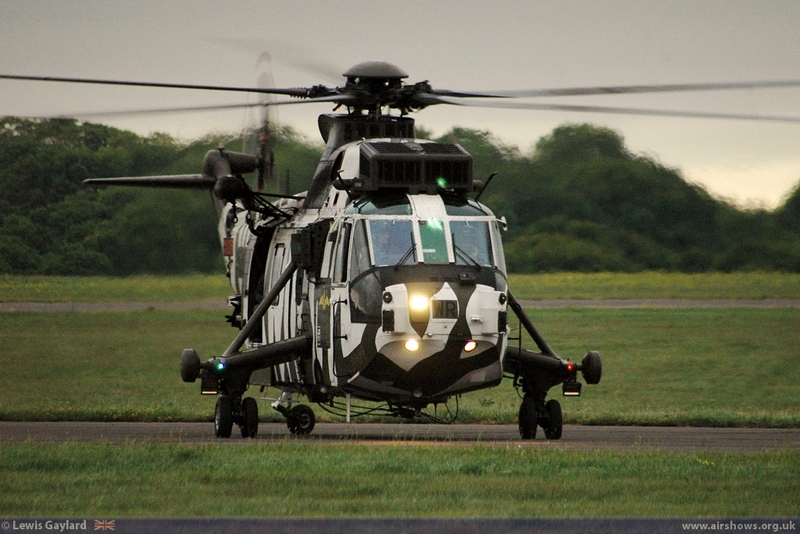 The Lynx ‘Wildcat’ is the very latest high-tech, multi-role helicopter to be operated by the FAA and Army. 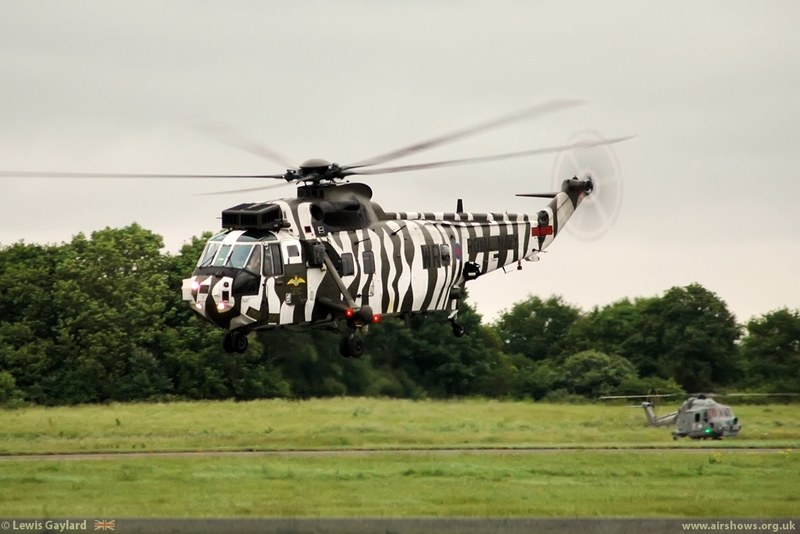 Although still in its initial trial and evaluation by both services, on static show was an example from the Yeovilton based Army Air Corps Wildcat Fielding Team. 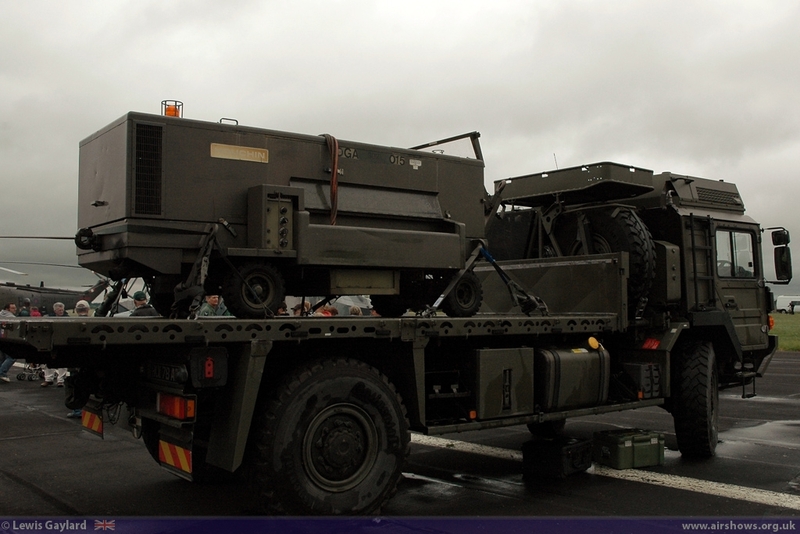 The Wildcat was connected to a truck mounted ground support generator which allowed the on-board systems to be operated and demonstrated for the large crowd that gathered. 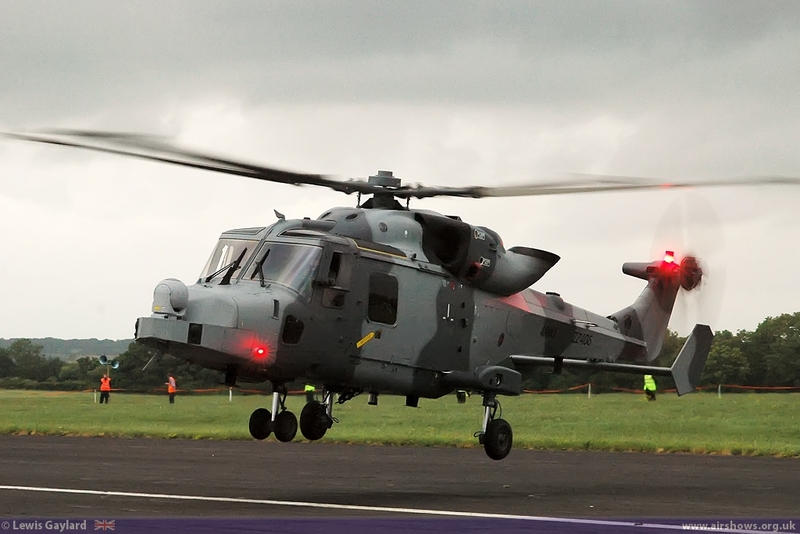 AgustaWestland also provided one of their Wildcat and the aircrew were on hand all evening to answer the many questions asked by both young and old. 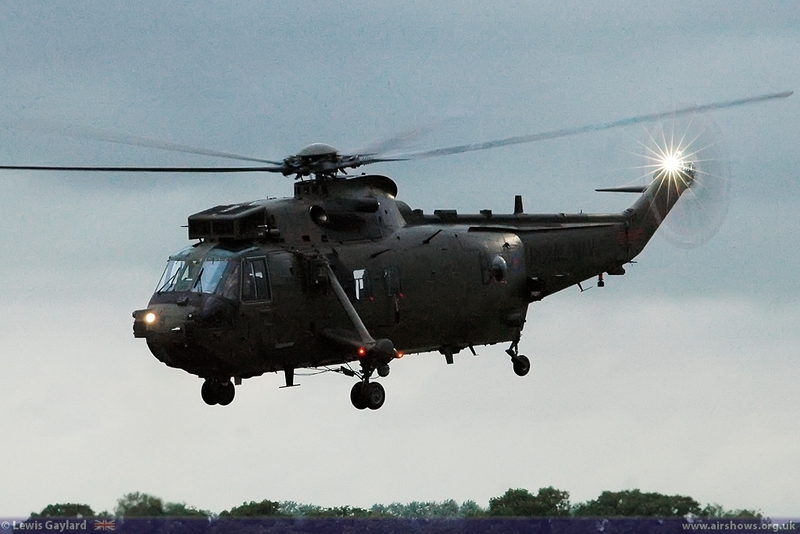 Unfortunately the Royal Air Force Merlin HC 3 that was planned to attend was, at short notice, withdrawn due to operational requirements. 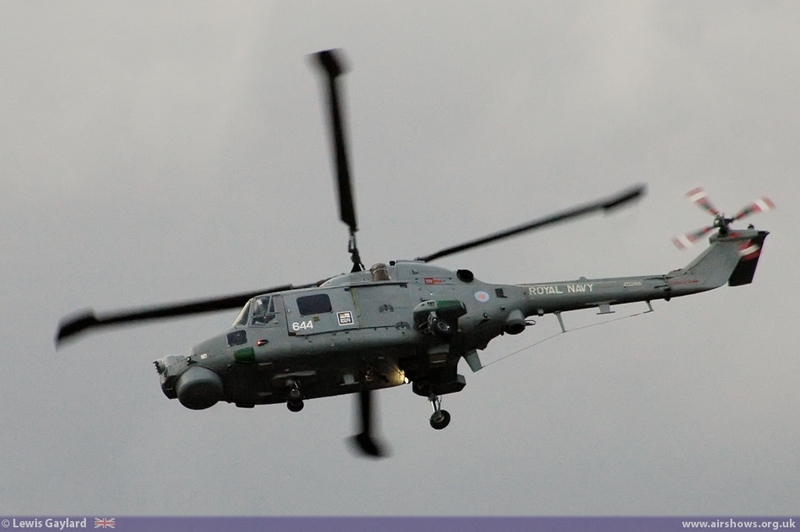 Other ground displays and attractions included the Royal Navy presentation Team, The British Horse Society stand, RAF Cadets, a Fleet Air Arm Museum display and the ‘Black Cats’ merchandise Van amongst many others. 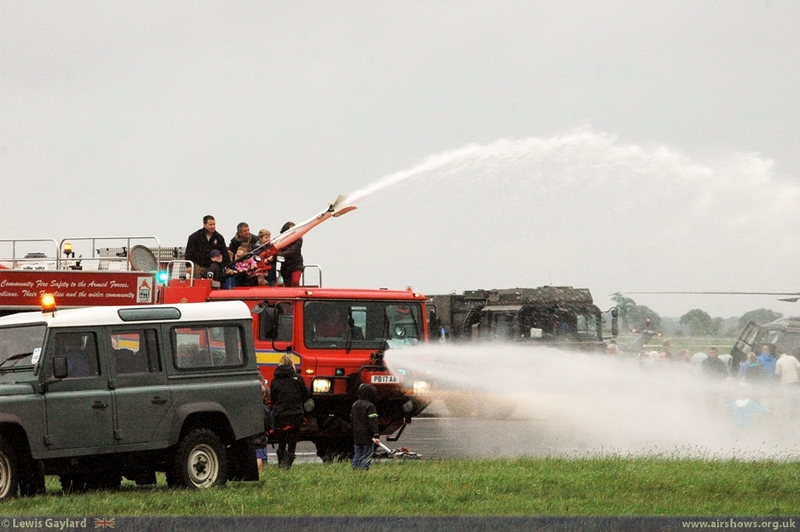 Of note was the Royal Navy Fire Service who had multiple Fire Engines on display and to much delight, both to Children and ‘Grown-ups’, was the chance to ‘’water the grass’’ by using the high-powered water cannon on one of the engines. It is not known who had the most fun, the Children or the Fire Crews! The Ilminster Radio Control Club, from 6.15, had put on a very good demonstration of radio controlled flying in very testing conditions. The main air display was due to start at 7pm with a ‘Jump’ by the Royal Navy ‘Raiders’ Parachute Display Team but due to the very low cloud base this was sadly cancelled. But ‘The Show must go on’ and the main display started with a real treat. 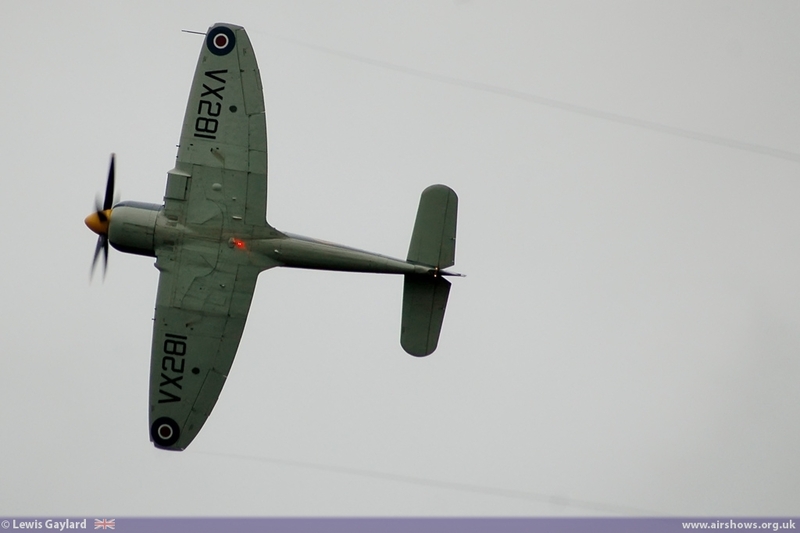 After holding off for a few minutes, to find a suitable break in the cloud, the Royal Navy Historic Flights (RNHF) Sea Fury T20 burst into the display circuit. Piloted by Chris Gotke, the newly appointed CO of the RNHF, he proceeded to put on a wonderful ‘Flat’ demonstration with multiple roles and tight turns which wowed the crowd. A special mention must go to Chris for his exemplary flying in very testing weather; at the start of his display the cloud level had dropped to 250ft! 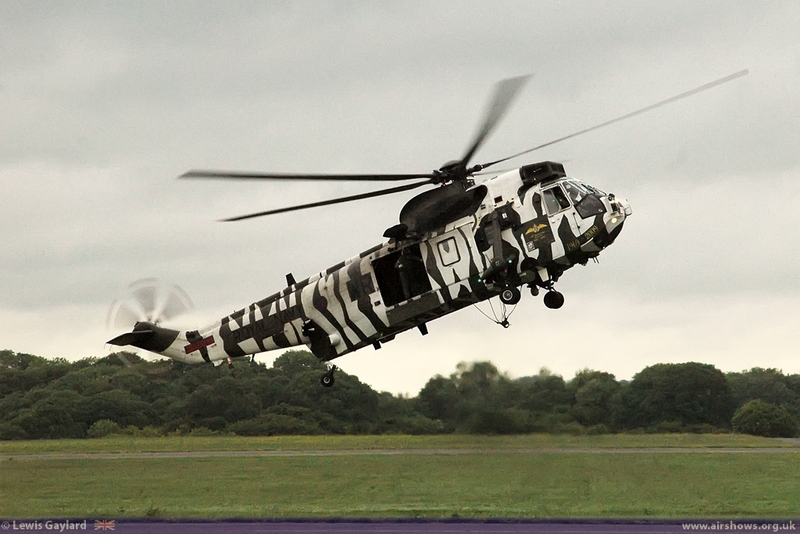 With the sound of the mighty Centaurus engine fading into the distance the crowd’s attention was taken by the familiar sight of the ‘Zebra’ painted Sea King HU4 from 848NAS. 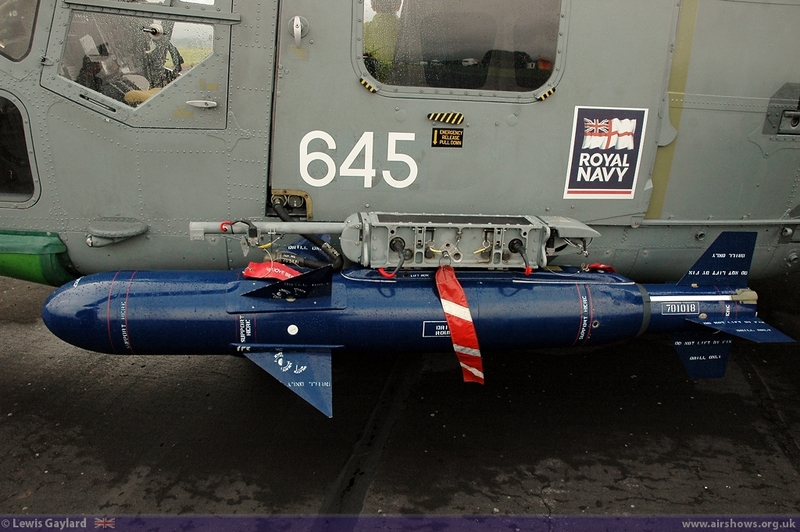 This proceeded, along with a Lynx from 702NAS, to demonstrate the many flying techniques that is regularly taught and practiced at Merryfield including ‘Disappearing’ into the Woods at the far side of the airfield. This area in the woods is used to practice flying into, and out of, confined spaces. 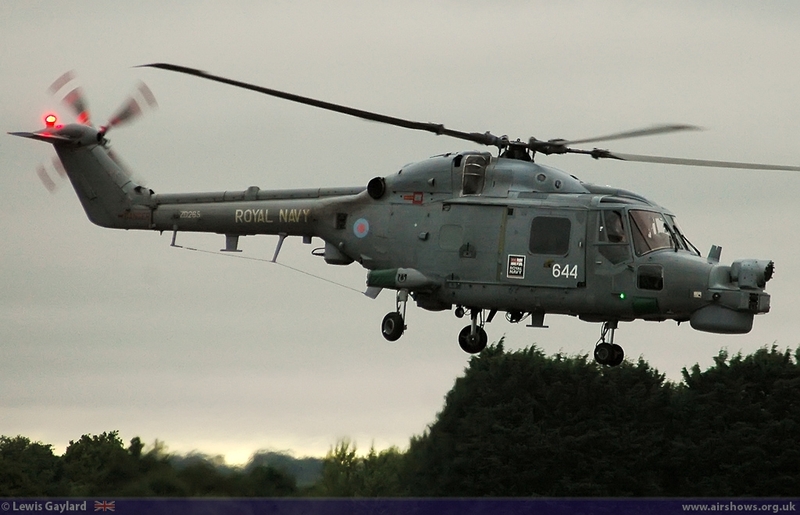 The flying display was brought to a close with the singleton Lynx of the ‘Black Cats’. Flown by AJ Thompson, it was another high-quality display that delighted the amassed crowd and sent the Children home with a smile on their faces. On the whole it was a very enjoyable evening in the company of the Fleet Air Arms finest and many thanks to all those that gave their time to make this small event another huge success.